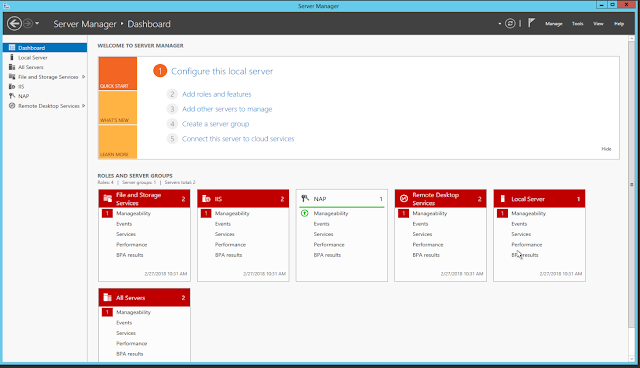 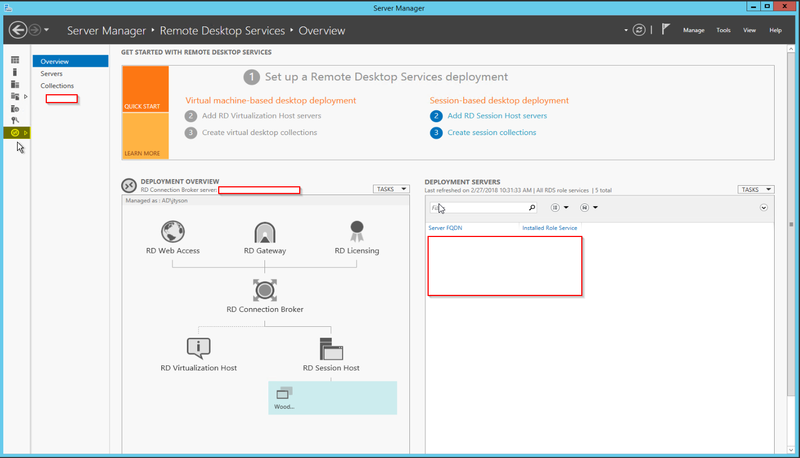 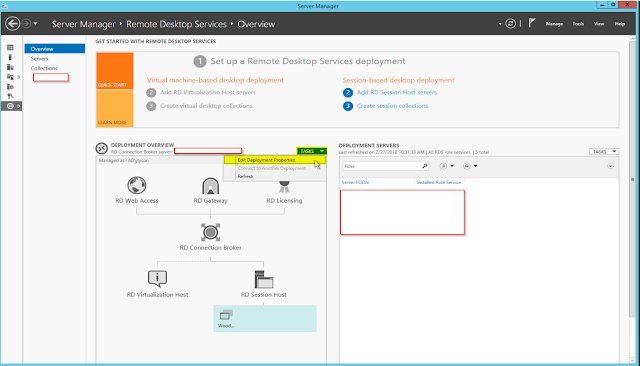 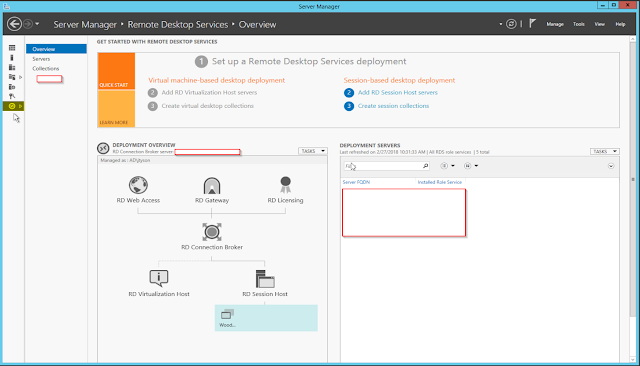 Click Remote Desktop Services on the left hand side. In Deployment Overview area, select Edit Deployment Properties from the Tasks menu. 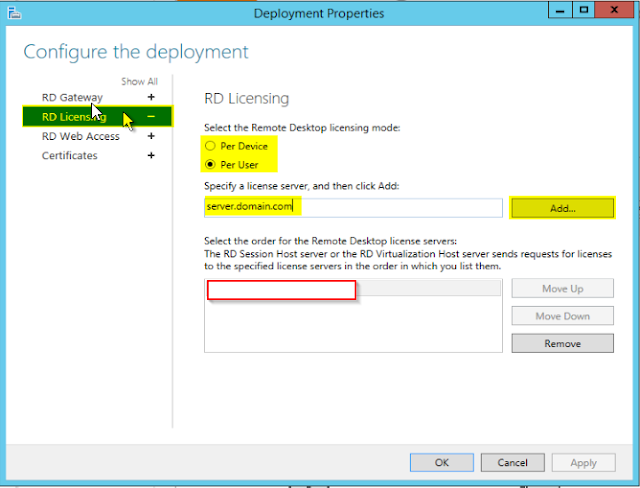 Choose the licensing mode and enter the name of the license server, click Add and then click OK.